Peru’s national council of science, technology, and technological innovation (CONCYTEC) announced this week a plan to stimulate scientific and technological research to close the gap in investment in science, development, and innovation compared to other countries in the region while at the same time investing in the human capital that will conduct this development. Gisella Orjeda Fernández, CONCYTEC president, told LatinAmericanScience.org that the institution had tripled its annual operating budget, from 15 to 46 million soles for 2013 (US$5.3 to $16 million), and managed to get the national budget to set aside a significant amount for science and technology. The five-year project “CienciActiva” will invest 217 million soles (US$77.5 million or 0.20 % of Peru’s annual fiscal budget) and stimulate four initiatives in science and technology in Peru. This amount of money is quite important for the South American country, as it is estimated that the total annual investment in research and development is only US$380 million (0.15 % of GDP). Although the amount announced by the Peruvian government does not reach the levels of investment from neighboring countries like Chile (0.50 % of GDP) and Brazil (1.16 % of GDP), it does cover several important points that will generate a more favorable climate for research and development in Peru. The first point is human capital. CONCYTEC estimates that in Peru there is a shortage of 17,000 scientists and engineers. To invest in more Peruvians with masters and doctorates, the country will invest 86 million soles (US$30.7 million) in scholarships for Peruvians to enter doctoral programs in science and engineering at prestigious universities. Each student will receive up to 500,000 soles (US$179,000) for their studies. Nationally, the CONCYTEC will fund six masters and twelve doctoral programs, with 1.6 and 2.5 million soles, respectively (US$571,000 and $892,000), to provide tuition, monthly stipends and medical insurance for students. Universities have funding for the continuation of their training programs and projects where students can develop their thesis research. Educating national talent is not enough if there are no conditions upon graduation to do research in the country. The plan intends to promote scientific collaboration in Peru and fund research groups to form a community that optimizes resources and welcomes new graduates to embark on collaborative work. Funding for research circles is 18.7 million soles (US$6.67 million) for four years and will fund twelve research teams. Innovation also comes from applied research and CONCYTEC plans to fund research on health, the environment and agriculture with 29.4 million soles (US$10.5 million) will fund 40 projects (up to 300,000 soles each for proof of concept) and 10 projects in the second phase if they have private financing (receiving up to 2.6 million soles). As a way to promote the involvement of the private sector in research and development, CONCYTEC plans to invest 83 million soles (US$29.6 million) in four technology pools. In these consortia, private business will define problems and contribute similar amounts as the state (20 million soles or US$7.1 million). The Peruvian Academy will provide researchers and foreign institutes will provide research support and contribute money and management expertise for the marketing of products and services generated. All these efforts are valid and reflect somewhat successful policies used in other countries to promote research and development. As always, managing these resources will determine the final state of how effective the investment of this money is. Definitely the idea of the consortia is risky and will require an administrative and commercial vision that allows CONCYTEC to find suitable partners on whose shoulders to rest the consortia. Finally, the most important investment CONCYTEC will make is human capital and I doubt that we can go wrong. 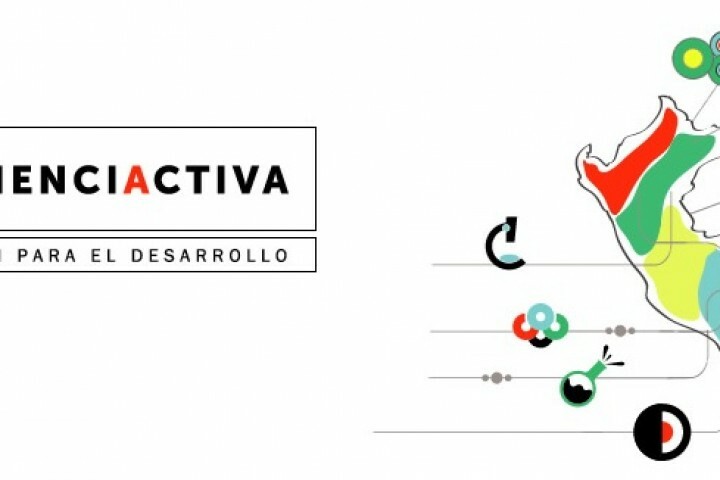 I welcome “CienciActiva” in Peru! This initiative goes beyond the immediate benefit for Peruvian professionals looking to get educated, be they industry or practicing scientists. I hope “CienciActiva” also helps break down the mental and economic barriers Peruvians encounter on the path to obtain doctorates. Here is a video to say goodbye, a sample of human capital that I hope will be helped to grow in the future by initiatives like this one. See video and follow Fernando at his blog, SalsadeCiencia.